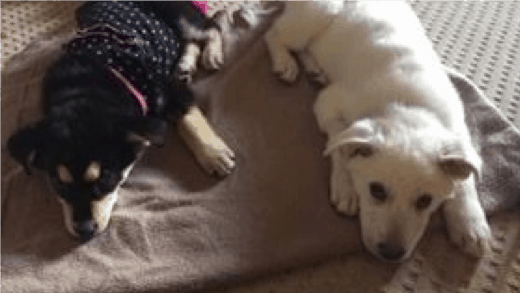 Sophie and Lexi – The start of these puppies lives was a little rough until they were rescued in a rural area of Saskatchewan. Once they had arrived at NHDR, the foster home realized they were very ill. The pups were taken to a partner veterinary clinic where they tested positive for parvovirus. They immediately were taken to the University of Saskatchewans Veterinarian Medical Centre where they could be isolated and receive specialized care. After spending 3 days, they were released back to their foster home. They both recovered well and were successfully adopted a couple months later. Donations to the Guardians of Hope program make sure we can continue to help dogs just like Sophie and Lexi.